8:10. (7) Indiana vs. (2) UCLA. 12:00, ESPN. NIT. Bradley vs. Mississippi State. 12:00, ESPN2. Women's College Basketball NCAA Tournament. 1:00, ESPNU. College Lacrosse. Maryland-Baltimore County @ Maryland. 1:00, Fox Soccer. Premiership Soccer. Blackburn Rovers vs. West Ham United. 2:00, ESPN. Women's College Basketball NCAA Tournament. 2:30, Speed. American LeMans Series. 12 Hours of Sebring. 3:00, ESPN2. ATP Tennis. Pacific Life Open, Men's Semifinal and Women's Final. 3:00, CSTV. Women's College Basketball Division III Tournament Finals. 3:00, ABC. NASCAR Racing. 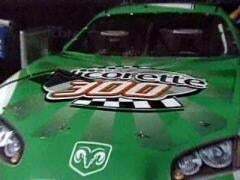 Busch Series, Nicorette 300. 2:30, NBC. PGA Golf. Arnold Palmer Invitational, Third Round. 3:30, Comedy Central. Movie. Major League. 4:00, ESPN. Women's College Basketball NCAA Tournament.